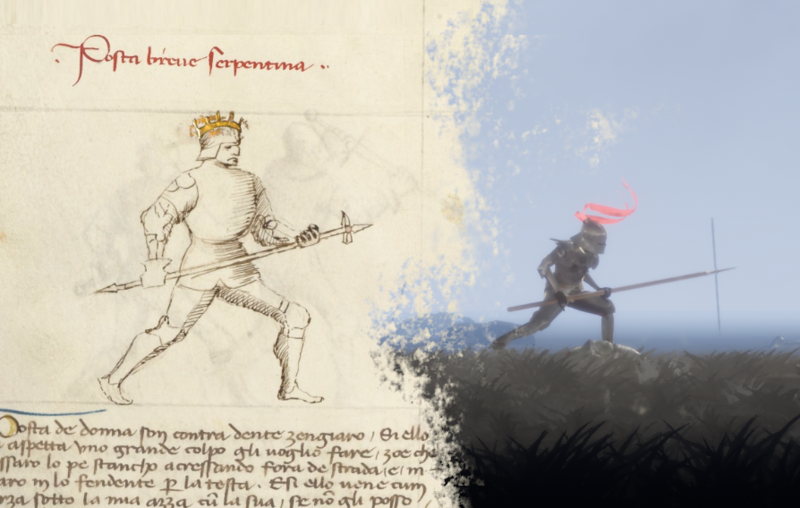 Griefhelm is a Nidhogg inspired dueling game with a combat system similar to Mount & Blade's, which allows you to attack and parry from three different directions. While far from actual HEMA (Historical European Martial Arts), I put a lot of focus on making fights look as realistic as possible. 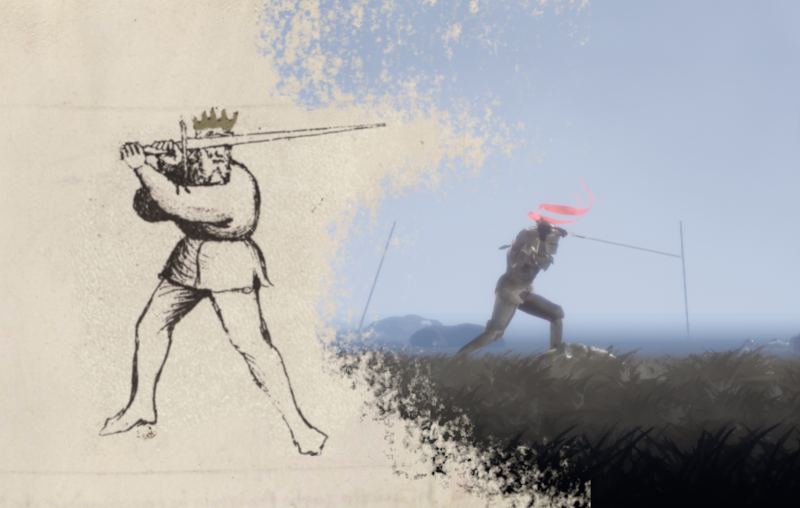 The main reason why it is very hard to make a combat system that is a simulation of medieval fencing is given by the complexity of control fighters have over their weapon and the speed at which the combat takes place. A very interesting Kickstarter project that wanted to achieve this was CLANG, but unfortunately, the project failed with the reason being that the game focused so much on realism that it ultimately failed at delivering fun gameplay. 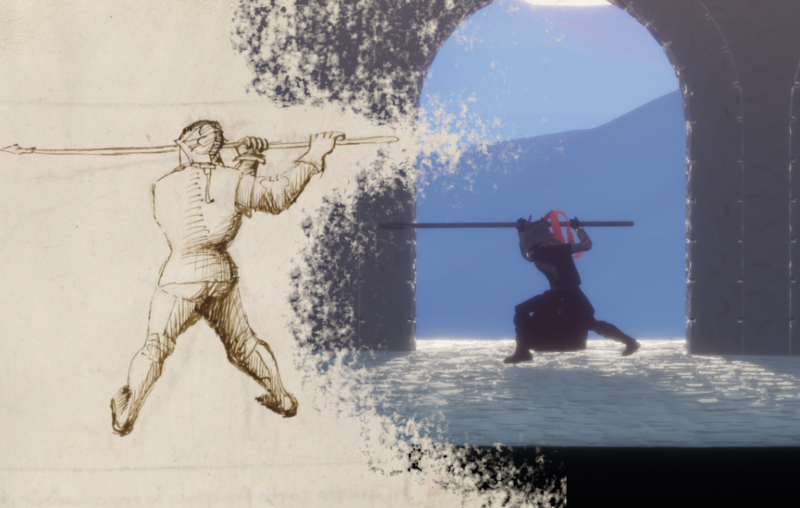 So I decided to not only give weight to the characters' movement so that it wouldn't allow for overly jerky swordplay but also tried to look at manuscripts (and a lot of Skallgrim videos) to get the guards and strikes as accurate as possible. I made extensive use of the manuscripts by Fiore de Liberi "Flos Duellatorum" and I'm so happy I did since he lived in Udine which is where I live! :) I think he'd be super happy to know that 6 centuries later he was the main reference for a videogame built in his hometown! Griefhelm - 0.4.4 - A lot of new weapons! You can now use weapons such as the hammer, spear, one-handed sword, and the mace. You can now challenge a work-in-progress AI, hop in and tell me what you think! Hello Mr. @johnnylonack. I got a doubt that the discord invitation has been expired. Can you please explain it or it is just my mistake. Thanks in advance. Is this game still getting updates? Ok, great! Keep doing what you're doing man. Np, btw, I said it looks awesome because I can't actually play it. Will you be able to make an installer version of the application of the game? Because the rar installer isn't working for me, I can't play the game with the rar thing for some weird reason. I have no idea where that's at. Are you able to make an installer for the game? Cause I can't play this unless you make an installer for the game. I have windows 10, and I'm trying to download it with Microsoft Edge, every time I try to download this with that, it takes it to Internet Explorer and it never works after that. Is there something you can do about this? Oh ok, hang on I'll try that. Nope, I don't know what to do. so you've tried going in WindowsNoEditor->SideScroller.exe and it didn't work? Or are you having issues with the download? Nm, I'll see if I can download this another time then. The file is a .rar which needs to be extracted. Once extracted, you will find a folder called WindowsNoEditor and within that, you'll find SideScroller.exe. I don't know where that's at that's the issue I'm having. Will you be able to demonstrate to me where that's at?